Spring is a time filled with new life and new beginnings, and these themes can become the basis for some wonderful coloring pages. If your child loves to color, these original pages would be perfect for an afternoon of coloring fun. The best part is that you can download them all for free. 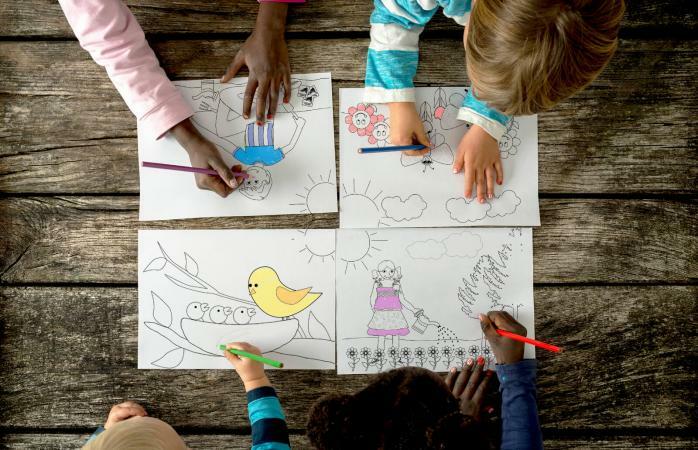 All four of these coloring pages are bursting with springtime activities. Beautiful butterflies and happy flowers enjoy the warmth and sunshine of a spring day. In another scene, a mother bird watches over her little chicks in their treetop nest. Elsewhere, a young boy is planting vegetable seeds in his spring garden, while a little girl waters a row of new flowers in her yard. You can download any of these pages by clicking on them to open the PDF file and then clicking print. If you need help with downloading the printables, check these helpful tips. Coloring pages have a lot more uses that just hanging around on your refrigerator. You can use them in all different kinds of ways to show off creativity in your classroom or just to be proud of your kids. Springtime coloring pages are full of lots of different fun elements like flowers, butterflies and sunshine. Use the fun colorful pages to create a bookmark for yourself or your kids. To do this, all you have to do is cut the coloring page into a rectangular strip. The size of the strip is up to you. If you want your bookmark to be more durable, you could even laminate it. Above all, have your kid sign their work. You can turn your colorful pages into a fun springtime envelope. Not only is this creative and colorful, but all you need to create the envelope are some scissors and glue. You can use these to give fun notes to your classroom or your children. They will really love that you used their art creatively. Have your kids color several pages. Then, they can cut out the different elements to make a fun springtime collage. This can be added to a bulletin board or used as home decoration. Maybe you tape their flowers to the windows or add them to a sliding glass door. Don't worry if your child wants more pages to color once these are finished. There are other springtime coloring pages available. The St. Patrick's Day coloring pages include an Irish dancer, a lucky clover, a leprechaun with a pot of gold, and St. Patrick driving the snakes out of Ireland. The Easter coloring pages include a basket of fancy Easter eggs, a lamb, an Easter bunny, and a cross covered in beautiful Easter lilies. All of these coloring pages are available for free, so be sure to print them out too, and let your child enjoy coloring all of them. If you are just looking for general pages, you might want to check out other coloring pages and printables as well. In spring, everything comes back to life and the colors are overwhelming. 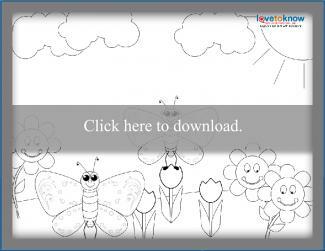 Help your kids to enjoy the springtime bloom through fun coloring pages that will entertain them for hours. And you can even use them for fun crafts after they are done.